Need inspiration? Don't worry I have you covered. Below are some of my favourite books. The links below are affiliate links. 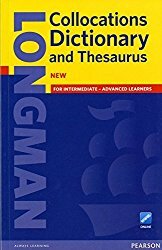 This is the dictionary I use and recommend to my students. If you want to sound fluent and natural when you speak English you definitely need this to help you sound more natural. Are you confused about grammar? This explains grammar though visuals (pictures, graphs and charts. It can also help you prepare for TOEFL, IELTS and TOEIC. 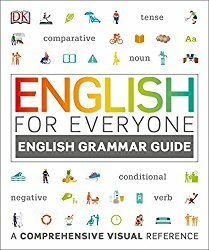 From vocabulary to grammar rules, useful phrases, idioms, and slang explained in way that's easy to understand. 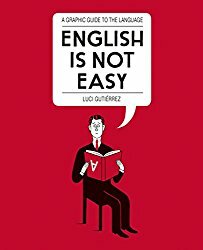 Luci Gutierrez uses wonderful illustrations to help you understand the English language. She started making illustrations to help herself whilst learning the language and later published it.